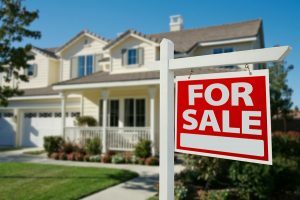 Putting your Colorado Springs home up for sale on the current real estate market can be a gamble. You can avoid the hassles of a long, drawn out, traditional sale, and save thousands by not having to pay a real estate agent, repairs, closing costs, seller concessions, and more. Avoid the stress and sell the easy way with Purple Mountain Holdings, a local family-owned business that purchases houses in any condition for cash, FAST, on the date of your choice, in as little as two days! When it comes time to sell your home, you have a few options. You could opt to sell your home with the help of a real estate agent. Of course, an agency is going to require payment. There will be fees to pay and commissions at the close of the sale. You are effectively losing money on the sale of your home. Even if they real estate agent takes a small cut of the profits, that money could have been used to purchase a new, larger home for your family. Or, you could invest it in a newfound business. That money should be yours to keep. At Purple Mountain Holdings, when we offer to buy your home, we provide you with cash. The money you’ll receive from our dealings will be yours to keep. We do not charge any hidden fees or commissions. Instead, we offer you cash for your house in its current condition. You could spend loads of money fixing up your old home. Or, you could sell it in its current condition. If you go the traditional route and attempt to sell the house on the market, you’ll find that repairs and renovations are required. They are not optional. You’ll lose quite a bit of money paying for new interior and exterior paint, completely new wiring throughout the house, and plumbing inspections. Or, you could call us today. We look past the current condition of your property. Our investment experts can see the beauty in any home – even one that is showing its age now after many years. In other words, we will buy your house in its current condition. We do not require any repairs or renovations. Instead, we’ll pay you in cash for the house today. It has never been easier to sell a home on today’s market, and for real money, too! In addition to simplifying the process of selling a house there are a number of advantages we can offer you as a direct cash buyer. There’s no obligation to see what we can do for you. Working with Purple Mountain Holdings is simple. We have streamlined the process to sell a home in Colorado Springs, and no one can do it faster! We’re not just in Colorado Springs! If you live in the following cities, we can buy your house too! We love Colorado Springs and all it has to offer. What a fantastic place to call home. With great attractions like Seven Falls, Cheyenne Mountain Zoo, Air Force Academy, Pro Rodeo Hall of Fame, Red Rocks Open Space, Garden of the Gods, US Olypmic Training Center, and the Broadmoor there’s such a great variety for the whole family to enjoy. Not to mention all the great local restaurants and some of the best weather in the country! 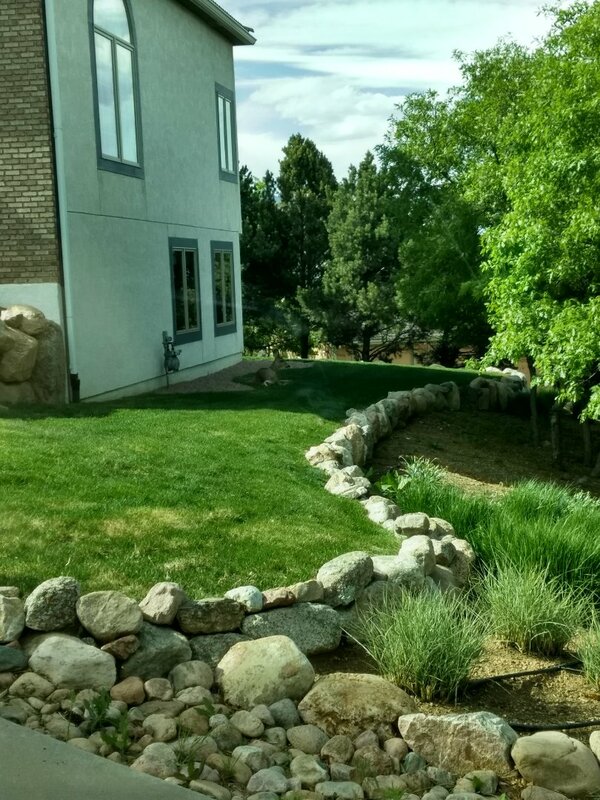 For a fair price on your home in Colorado Springs, contact Purple Mountain Holdings by calling (719) 476-2727. It would be our pleasure to provide you with a friendly, no obligation, cash offer to purchase your house on the date of your choice. Call us now! We serve entire Colorado Spring, CO 80829, 80831, 80901, 80902, 80903, 80904, 80905, 80906, 80907, 80908, 80909, 80910, 80911, 80914, 80915, 80916, 80917, 80918, 80919, 80920, 80921, 80922, 80923, 80924, 80925, 80926, 80927, 80929, 80932, 80933, 80934, 80935, 80937, 80938, 80939, 80941, 80942, 80943, 80944, 80945, 80946, 80947, 80949, 80950, 80951, 80960, 80970, 80977, 80995. All done in no time. I’m in customer service myself and one of the most important things is the way you interact with your customers, how invested you renwith they and how you assist them throughout the entire process. Well, PMH provided excellent customer service. They truly care for their clients. "Fantastic people to work with, they went above and beyond! They made the process very fast and it couldn't have been easier. I recommend the Jones brothers to anyone looking to sell their house the easy way." I couldn't be more happy to have worked with Andrew and Matt from Purple Mountain Holdings, Inc. They were very professional, open, easy to work with, and were able to do a very fast closing on our deal. As a beginning investor, it was a bit nerve racking to be doing my 1st deal, but Andrew and Matt put me at ease, and even took the time to provide much necessary guidance and advise. Andrew and Matt will be the 1st guys I call when I have another deal in my hands. I was working with a traditional real estate agent. He was my agent when I bought a new house, but his plan for my old house to be sold I new would not work. I checked out Andy Jones and Purple Mountain Holdings. I am a retired physician with a closed head injury. My attorney gave Andy High marks. Anyone can call themselves a "Flipper" . But ask, what is their background. How many project do they have going now? I showed up to closing and my only expense was my Property taxes> This is huge when you consider how much it would have cost for title insurance, real estate commissions, etc. This company is for realize I would in the strongest terms recommend them. I have given Andy permission to give you my phone number if you would like to talk. My son and I invited the Purple mountain holdings team to talk to us about buying our home truly not expecting much. However, I was truly blown away by their honesty, their wonderful personality, their knowledge, willingness to share information and commitment to closing a deal. Wonderful experience. I have never sold a house before and they made it so easy. They were so warm and personable. I would not hesitate to use them again. Great location for a ranch house that needs a little updating. We buy houses in this area all the time...and it's close to BJ's Velvet Freeze...BONUS!!! We buy houses on Thursdays too! Closing today on a very nice well kept property in a neighborhood that has substantially improved in the last 10 years. We buy nice houses too! What a great neighborhood! We Buy Houses.com loves to buy houses fast, it's what we do! Great morning walk before getting into the office for a busy day of buying houses. We Buy Houses buys houses in Briargate for CASH! Tricky tenants put a landlord in a situation to sell her house quickly for cash. Walk down the street to the elementary school is pretty nice, hopefully we can make this a quick and easy house sale! A quick home sale on this one, 2 days to get the job done. As cash home buyers we can make it happen FAST! Final walkthrough on a great house in Wilson's Widefield. Needs a lot of work, but when we buy houses fast in any condition, it comes with the territory. We Buy Houses .com buys houses fast for cash! Premier Colorado Springs cash home buyer. Needing a quick cash home sale....we're on it! Yes, we buy townhomes and condos too! Let's see what surprises are in store for us here. Met with some super nice people at a cash for houses in Widefield meeting. Love the neighborhood! Sell house fast for cash in Colorado Springs! We buy houses for cash in Colorado Springs... And we do it FAST! We Buy Houses Colorado Springs just bought another house for cash near Powers Blvd! Stopping by a house in Mountain Shadows to meet a seller looking for a quick home sale. We buy land too. Technically speaking this property did have a house on it (which was literally being held together by ratchet straps) that we had to bulldoze in order to start anew. So yes, We Buy Houses in ANY condition! About to walk in the door for a We Buy Houses appointment in Stratmoor Hills, just outside of Fort Carson. This gentleman is looking for a quick home sale so he can focus on his growing business. On the way to make a cash offer on this house near Powers, lets see what we got today. Just another day in the office meeting with sellers and looking at houses to buy. I don't think a lot of people know this neighborhood is back here. Purchased this house for CASH from a family that just so happened to be close friends with our attorney...what are the odds. About to buy house in 80906. What a terrific part of town! Can't wait to get going.